The goods and services shown below are those we provide to our client families. You may choose only the items you desire. However, any funeral and/or cremation arrangements you select will include a charge for our basic services and overhead. If legal or other requirements mean you must purchase any items you did not specifically ask for, we will explain the reason in writing on the Statement of Goods and/or Services. Our services include: conducting the arrangements conference; planning the funeral/cremation; consulting with family, clergy, musicians, singers, etc. ; preparing and filing of necessary notices; obtaining necessary authorizations and permits; coordinating with the cemetery, crematory or other third parties. In addition, this fee includes a proportionate share of our basic overhead costs. This fee will be included in our charges for direct cremations, immediate burials and forwarding or receiving remains. Embalming is not required by law. Embalming may be necessary, however, if you select certain funeral and/or cremation arrangements, such as for a public viewing and/or service. If you do not want embalming, you usually have the right to choose an arrangement, such as direct cremation or immediate burial, that does not require that you pay for it. 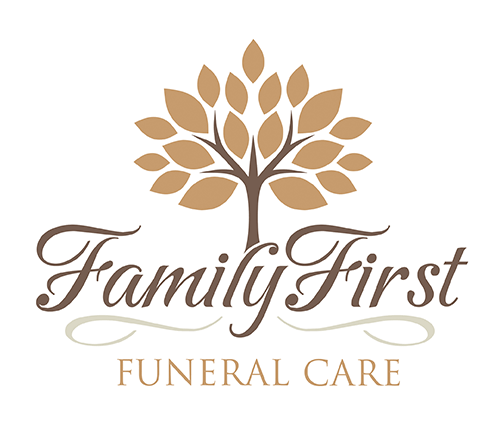 It is the policy of Family First Funeral Care that any public viewing, visitation and/or service with an open casket, the body MUST be embalmed. ALL vehicle usage for a 30-mile radius, one-way, per vehicle. After initial 30 miles, a fee of $2.50 per-mile, per vehicle applies. All charges with this symbol (*) comprise the services for what most consider a “Traditional Funeral Service.” Total Price: $2,995. Payment for Funeral Goods and/or Services must be paid, in-full, 24 hours prior to Goods and/or Services being provided. Our payment policy and the various payment options will be discussed with you at the time of arrangements, or prior to arrangements if requested. Fee Includes: Basic Services of Funeral Director, Staff & Overhead; Embalming and Transfer of Remains from the Place of Death to the Funeral Home. NOT included are any additional services and/or merchandise not specifically listed above, such as visitation, funeral, casket, airline shipping container, additional mileage, airline fees, etc. or Cash Advance (Third-Party fees). Fee Includes: Basic Services of Funeral Director, Staff & Overhead; Transfer of Remains to the Funeral Home, Funeral Coach to Cemetery or Crematory. NOT included are any additional services and/or merchandise not specifically listed above, such as visitation, funeral, casket, additional mileage, etc. or Cash Advance (Third-Party fees). Fee Includes: Basic Services of Funeral Director, Staff & Overhead; Transfer of Remains to the Funeral Home, minimum cremation container as required by law, ID Viewing (as required by law, 3 family members, 15-minute time limit) and Crematory Fee. Not included are any additional services and/or merchandise not specifically listed above or Cash Advance (Third-Party fees). **If, for any reason cremation cannot take place immediately following the 24 hours wait period, refrigeration charges will apply, per day or any portion thereof**. Fee Includes: Basic Services of Funeral Director, Staff & Overhead, Dressing & Casketing of Remains, Transfer of Remains to the Funeral Home, Funeral Coach (Hearse) and a Cloth Covered Wood Casket. NOT included are any additional services and/or merchandise not specifically listed above or Cash Advance (Third-Party fees). Additional copies at $20 each if ordered within 30 days. After 30 days, $35 each copy. Opening & Closing Grave fee (non-perpetual care cemeteries only). Two tents, 15 chairs, artificial turf, and lowering device. Family First Funeral Care is committed to service before, during and after the service. We guarantee that if you are not 100% satisfied with any aspect of our services, we will make every effort to correct the situation. If we cannot correct it to your satisfaction, you will not be charged for that service item.